Ashley Lauren Beauty Blog: Greetings! I hope all is well with your health and your hair. I know that it has been a minute since I updated my blog. 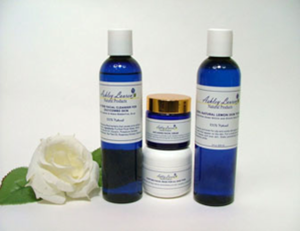 I have been busy in the laboratory making hair and skin care products. I am super passionate about beautiful skin and healthy, growing, strong hair. I hope that you all have been taking good care of yours. Remember that it is very important to cover your hair during theses winter months. Don't forget to use your jojoba oil on a regular basis to guarantee lovely tresses this spring. Ashley Lauren will have a new skin cream available this year for (Melasma) Dark Spots on the face. hi ive ready that your able to help people whos hair is falling out and they start balding.. im 24 and im indian i have long hair which has thinned out alot and scalp is noticable as im balding.. is there anything i can use to help regrow new hair? Hi Georgia, since i've started using your products for thinning hair i have noticed my hair is getting thicker with no more breakage. I started using your products in February 2017 and it is now July 2017 and my hair is thriving. I use your shampoo for thinning hair, conditioner for thinning hair,conditioning mask, rose water, herbal tea, the new hair food, and the jojoba oil with rosemary. I have been following your advice on how to use it all and watching my diet and your products and advice has paid off. Thank you so much for organic products that won't harm our hair. The products are worth the price and you get what you pay for. If you use cheap products, your hair will suffer, if you use Georgia's products, your hair will thrive!! !